Ask around at your local Vietnamese operated money transfer services in the US. Some do offer money transfer from VN to US, same fees as well, here at my area in North Texas, it's about $1.5 per $100 transfer. You can go to any bank and do wire transfer. I believe you can't transfer until you have your visa in hand. There are some form from Vietnam goverment that you have to filled that you no longer need the VND anymore because you immigrate to America. They very monitor the system closely. Vietnam goverment very strict now aday unless you plans to do illegal there lot of black market . As far I knows, even when you transferred to us you need to have proof where money come from if not wait for the IRS come get you. That's true. If you transfer more than $10,000, the IRS will come after you. They will ask where the money comes from, and you have to have legitimate proof. I have a relative in vietnam. The parents wanted to send their daughter to the US for study. The parents are rich and own lots of lands, and make a lot of money. So they ask where the parents get the money from to buy land in the first place, they parents couldn't prove it. So they denied the visa for the daughter. Go to the bank where the VND is on deposit and ask what will be involved. As others have stated, there needs to be a paper trail of where the money came from. Having a visa and a ticket to the US may be needed as well. The gov't doesn't like transferring hard currency out of the country. When I transfer money out it takes just a couple of steps but I have my salary directly deposited from my school so the paper trail is already there. Then they transfer it to a USD denominated account and then send it on to my bank in the US. And the amount is not close to what will be needed to purchase a house. I live in Dallas and they do it in real-time over the phone, you get your money here in cash at the same time your partner hands them money. After you get your money, the agent guy will call the other agent in vietnam to confirm it in real time. The fee is $1 or less per $100. Go to your local vietnamese money transfer agent and ask for it. i live in dallas too. don't want to drive around looking for it. it would be nicer to know the place. 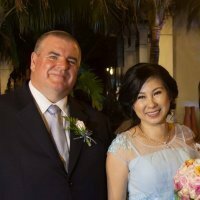 Hi Keves, I do not have experience in transfering amount of money that is enough to purchase a house in the US, but I transfered money to buy Vietnam package tour at a local company named BestPrice Vietnam. We transfered money through American Express service, or One Pay service. It worked well to me and you can take some references from those service. Good luck!